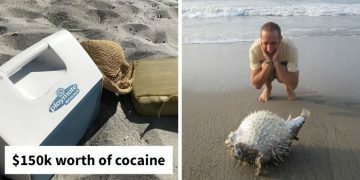 We need bees. They’re the world’s most important pollinator of food crops. In fact, it is estimated that one third of the food that we consume each day relies on pollination mainly by bees. But as much as we are used to seeing them buzzing with work, they need their beauty sleep as well. 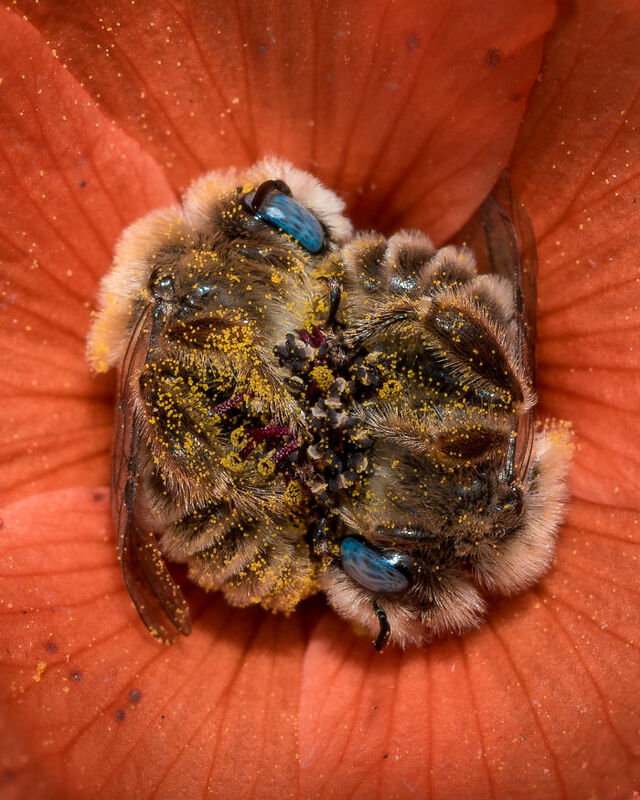 Recently, wildlife photographer Joe Neely captured two bees snuggling in a flower, and the shot shows a beautiful side of them we rarely witness. 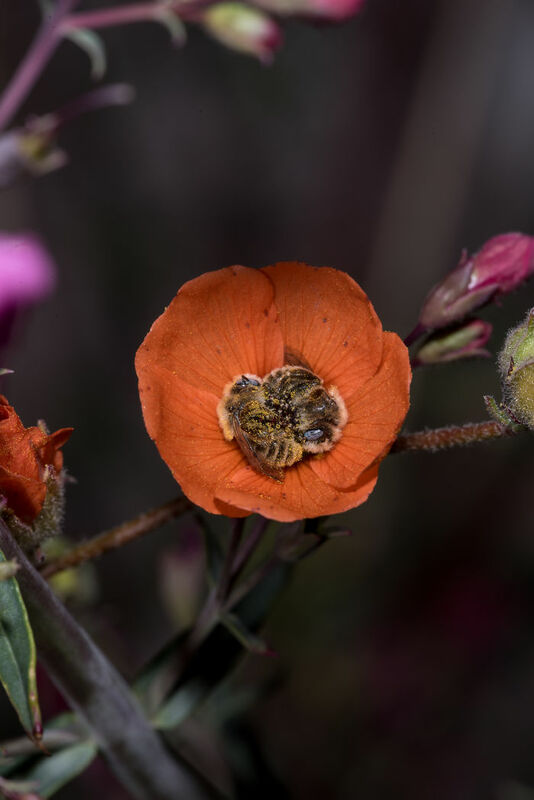 “Well, I never knew that bees slept in flowers but as it turns out these bees (Diadasia diminuta) sleep in the orange flowers called Globe Mallows.” The Diadasia diminuta – or simply the globe mallow bee – collects pollen from its favorite food plant, globe mallow (Sphaeralcea). According to Forest Service at the United States Department of Agriculture, their nests are commonly found in partially compacted soil along the margins of dirt roads in the western United States. 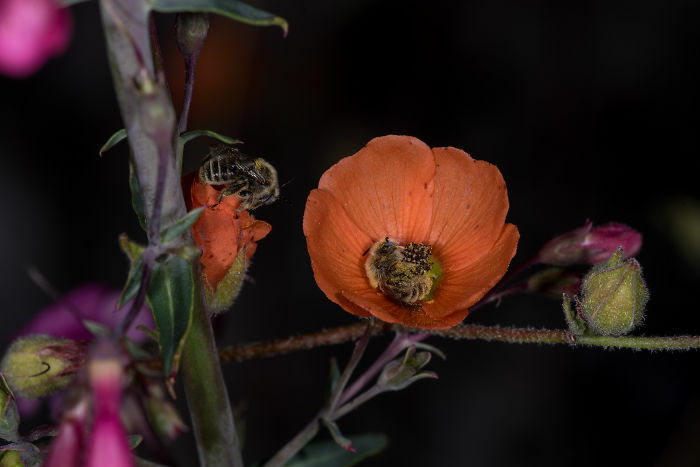 The globe mallow bees play a major role in the flower’s reproduction. 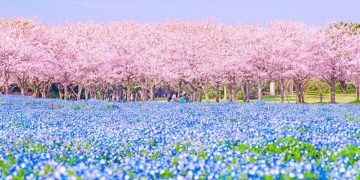 “The bees become covered with pollen visiting the flowers [and] most of this pollen is groomed into the pollen basket on the hind legs and taken back to the nest,” the organization writes on its website. 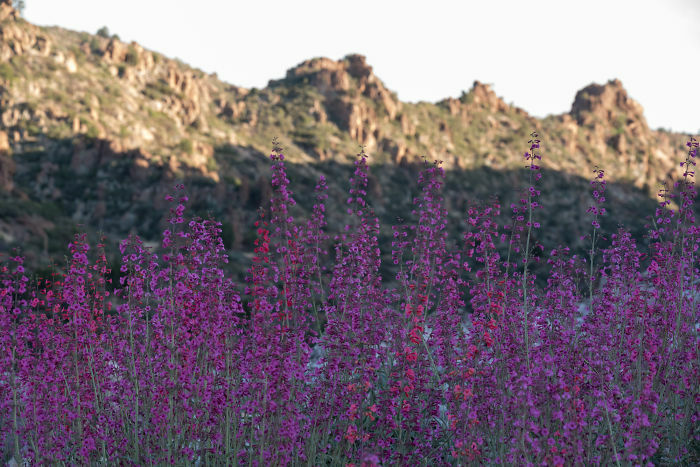 “However, some remains on the body and is deposited on the stigma of each of the next few globe mallow flowers visited. Thus, Diadasia contributes to globe mallow reproduction. When it comes to bees sleeping, there are a few interesting details. 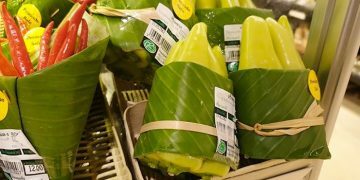 “They don’t have eyelids, so you can’t just look for bees with their eyes closed,” Brandon Hopkins, a bee researcher at Washington State University, said. “By carefully watching bees, scientists have found that honey bees stop moving their antenna and in some cases fall over sideways.” The nuances of exactly how and where a bee sleeps depend on where it lives. After all, there are more than 20,000 known species of bees living on our planet. Honey bees, for example, work day and night and take shifts sleeping inside the hive. Their sleep patterns change as they grow up. Younger bees sleep less but older bees catch between 30 minutes and an hour and a half each night, taking little naps of about 15 to 30 seconds at a time. 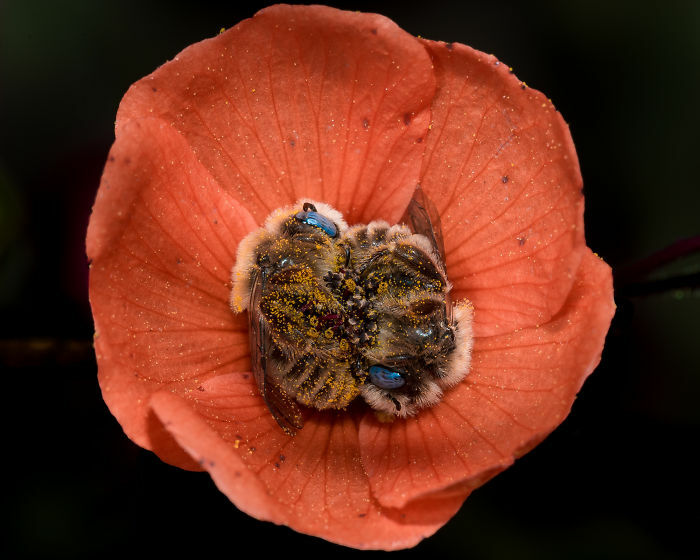 But these two globe mallow bees cuddled together in the flower and made the perfect composition, presenting Joe with what became his winning shot for the day. 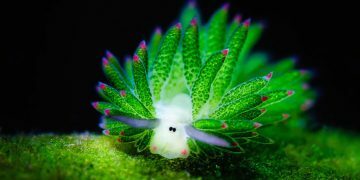 “I used a Nikon d750 and a 150mm macro lens along with an R1C1 Nikon macro flash,” he revealed. 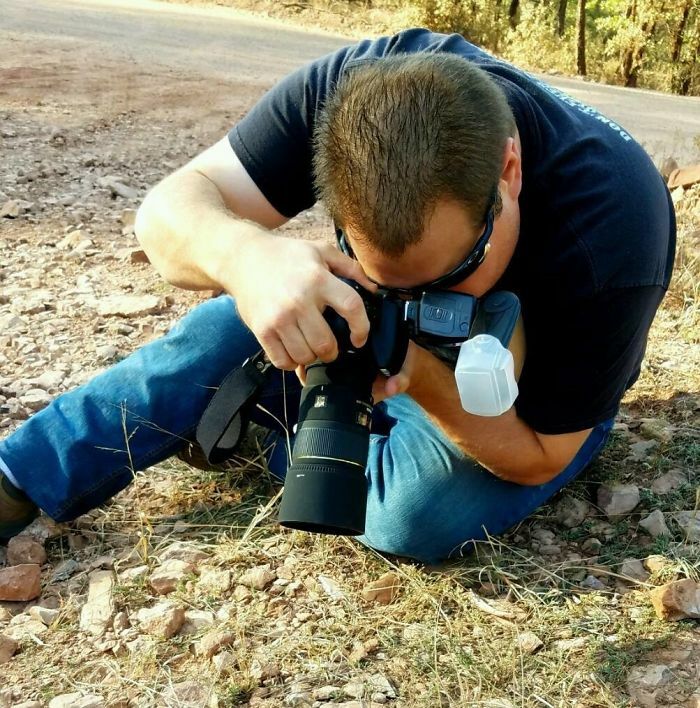 The photographer said he approaches bee photography the same way he approaches any other kind of wildlife photography, from rattlesnakes to bisons.